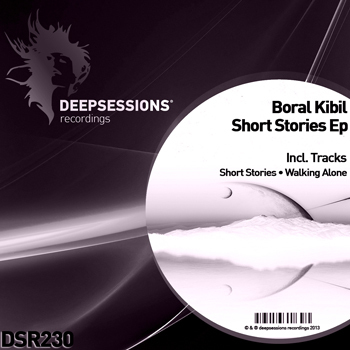 Boral Kibil returns to Deepsessions for the labels 230th overall the release. This is the Turkish producers 18th appearance on the Greek imprint but his first one of 2013. Boral’s new EP for Deepsessions is entitled “Short Stories” and it comes with two brand new original productions. The title cut is one of Boral’s most unique creations to date. The funky bass plucks, sweeping vocal pads and cool electronics all combine for an irresistible groove. The track peaks with a complement of harmonic stabs that pushes the track to new heights. The companion piece “Walking Alone” is a more driving progressive house cut that comes with a nice peak time energy. As the track progresses the rhythmic stabs, wavy chord changes and soft pads bring the energy down just enough for a true hands in the air moment that you won’t forget.